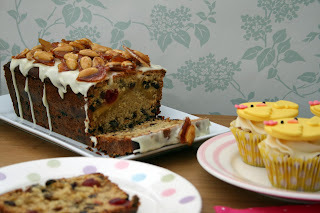 As I mentioned in my last post I thought I'd have a go at some simple Easter recipes this year as I won't be here for the Easter weekend...so what could be simpler than a Simple Simnel Cake. 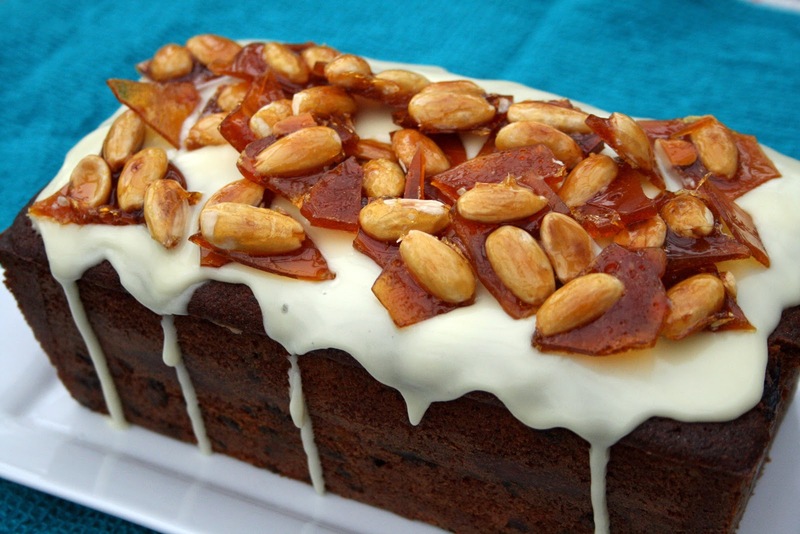 At first glance this appears to be a somewhat unusual recipe as it's a fruit cake with marzipan baked inside and orange icing on the top along with caramelised almonds, but it was actually really tasty and it was the first time I had used this particular method to make my caramel. This is simpler than a traditional Simnel cake as you don't have to worry about the marzipan and the balls on top amongst other things. The cake itself is very similar to these Simnel Muffins which I love and make every year. 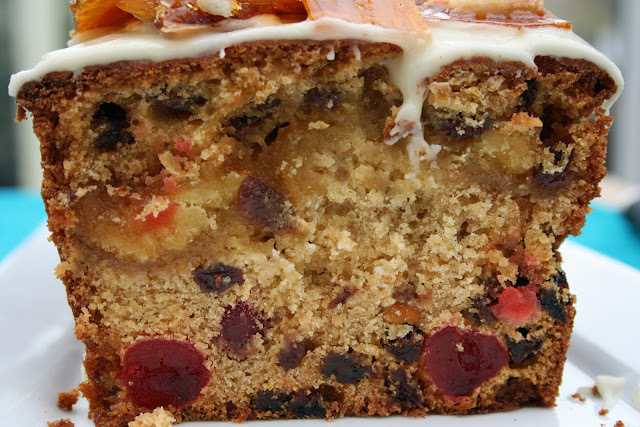 To add the marzipan to the cake, half the cake mixture was spooned into the loaf tin, then a sausage of marzipan was rolled out to the size of the tin and added on top before spooning in the remaining cake mix. 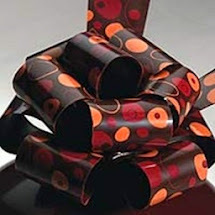 The benefit of this is it prevents all the fruit sinking to the bottom! The cake was topped with runny icing sugar, made up with orange juice, and then the caramel almonds. I have previously made caramel by dissolving sugar in water and bringing it up to a specific boiling point but this can be a tricky process. However, to make this almond caramel I used a frying pan and toasted the almonds. The almonds were then removed from the pan and 100g of caster sugar added. When heated the sugar turns to liquid caramel but it is important not to heat it up too fast otherwise it can burn. 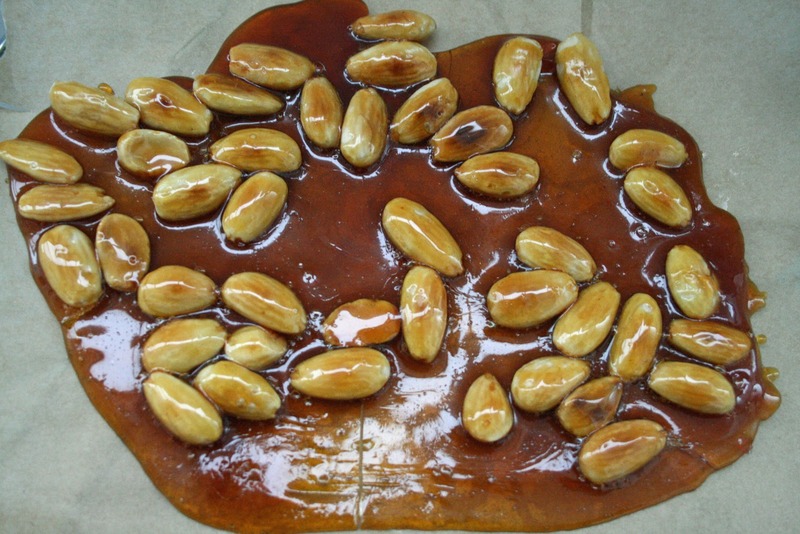 When the sugar turned to the caramel, the almonds were added back to the pan and coated in the caramel before pouring it out onto a greased baking tray where it sets hard. The recipe called for the caramel almonds to be chopped but I kept my pieces slightly larger and just broke them up. This process was all very quick and easy. The recipe for this cake is from BBC GoodFood and if you'd like to try it, you can find the recipe here. I am entering this cake into this month's Calendar Cakes with the theme being Easter Extravaganza. 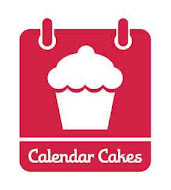 Calendar Cakes is hosted here at Laura Loves Cakes on alternate months with Dolly Bakes. If you'd like to enter you can find all the details here. What a beautiful looking cake, with lots of amazing flavors. Can't wait to try! I love this Laura look beautiful!! A lovely variation to the simnel cake. 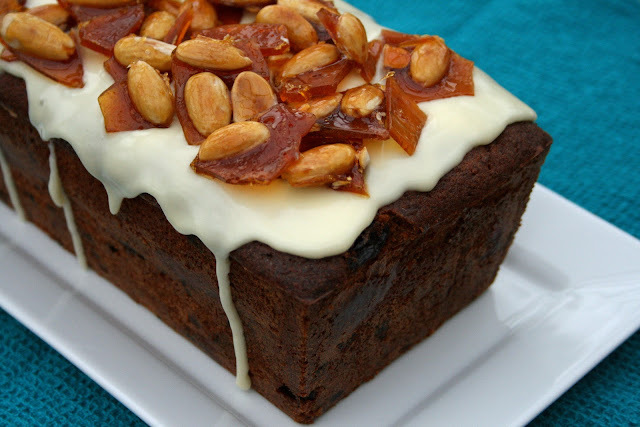 I actually prefer the look of the glace icing and caramelised almonds to the traditional marzipan topping. I was drooling at the topping then saw the next pic - the inside is even yummier! Mmm caramalised almonds sound gorgeous, will have to try that! Love that almond praline topping Laura, a lovely twist on traditional simnel cake. 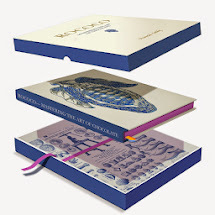 It's beautifull and looks delicious!